Steward of Savings : FREE Museum & Zoo Admission for Bank of America & Merrill Lynch Cardholders! FREE Museum & Zoo Admission for Bank of America & Merrill Lynch Cardholders! 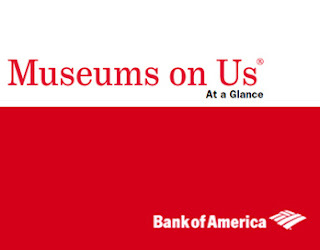 Go here for details>> FREE Museum Admission from Bank of America!